The final part of my look at the new NG Models Tristar moulds focuses on the short Tristar 500, designed for long-range operations. 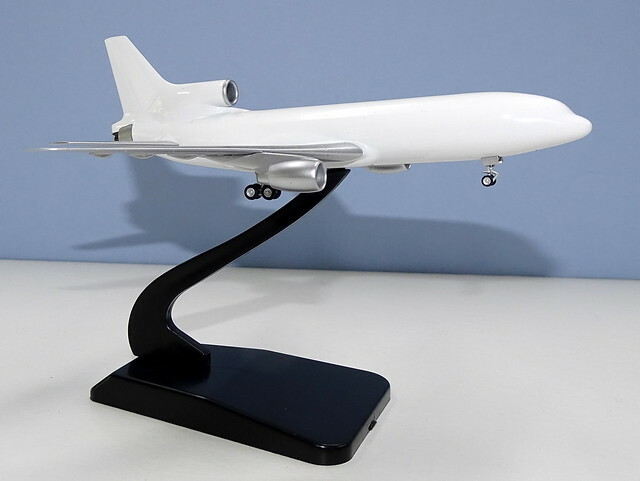 If anything this version has had an even rougher time than the standard length Tristar in 1:400, mainly due to some serious laziness by the various manufacturers that have attempted it. So can NG Models do better - well of course they can. I have recently updated my mould review for the Tristar 500 including taking into account the criminal Pan Am series 500 Gemini recently produced. As you can see from the review only one manufacturer (Dragon Wings) ever bothered to really look at the 500 before just copying the standard Tristar and shortening it. Note: I don't own and have never seen in person the Herpa mould. It looks rubbish though from photos I have seen. An increased wingspan (by an extra 3 metres) at the tip. So in detail how does the mould compare? As with the Tristar 1 and 200 it is an impressive recreation of the real thing but it does share the strengths and weaknesses of the other two moulds as well. The nose is the same excellent shape as the standard Tristar moulds but also shares the minor nosegear issue with the size of the nosegear door. It certainly compares well with the existing Tristar 500s and is easily the best of the noses. A big difference with the Tristar 500 is of course the modified wing/fuselage fairing, which is dramatically shortened ahead of the wing. Of course unlike Gemini Jets NG Models recognises this important character and models it accordingly. Previously on Dragon had got this correct. As with the standard Tristar the wings are excellent but the engines too low due to the pylons. 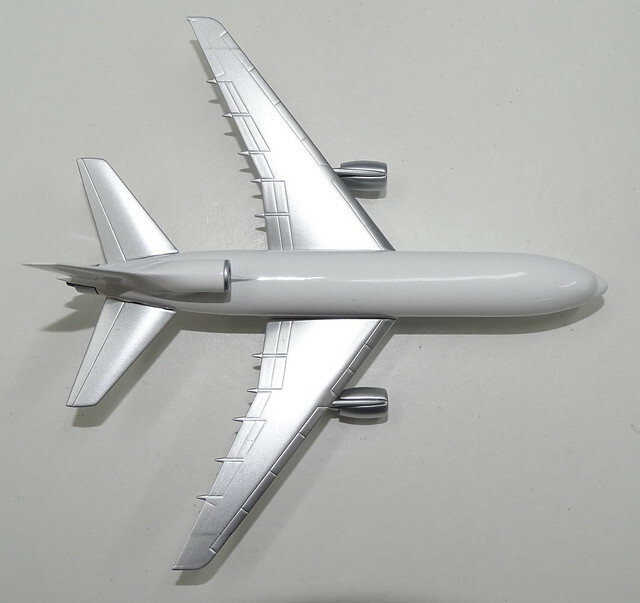 The tail is similar to the Tristar 200 mould and has the Frisbee Fairing. Like the standard Tristars it is excellent, although the Frisbee Fairing isn't perfect (NG are modifying it). It is still about as good as the Dragon version and much superior to the Gemini attempt. The mould is strong from the front, back and underside. No problems. I can assure you there is no visible engine in the no 2 position internally - it is just the way the engine has been drilled out. NG obviously studied the Tristar 500 before they made their mould and although sharing much with the other two Tristars moulds it correctly has all the distinguishing features of the Tristar 500 present. Once again there will be another Tristar 500 on its way soon but that one is also up in Scotland seeing the sites for a little while yet. 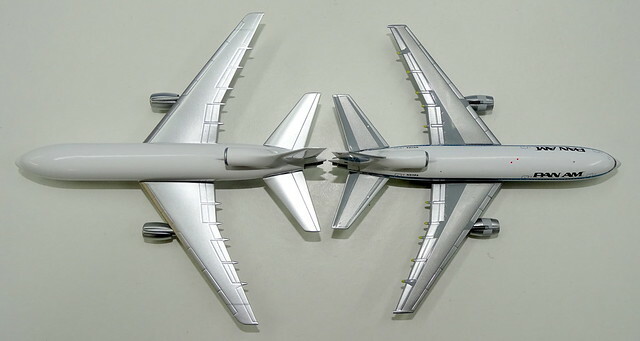 Either way Tristar fans can rest happy with the new moulds from NG.